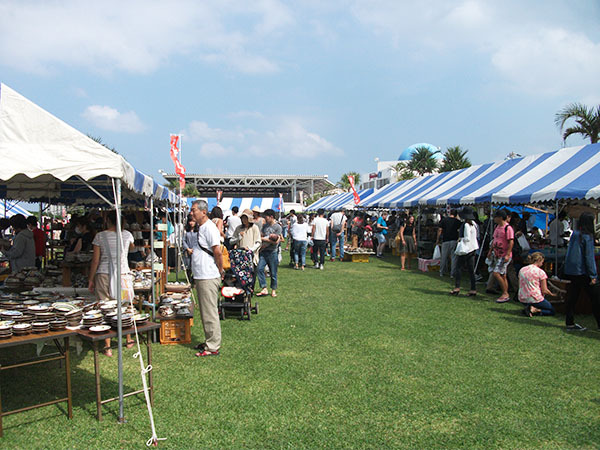 This market is held every year on the third weekend of October at Gala Aoiumi, located next to Nirai Beach in Yomitan Village, with a variety of pottery and crafts such as Ryukyu glass produced by studios in the area on display. Most of the items shown will also be available for purchase at special prices. The event will feature a charity auction on Sunday, from 16:00. Don't miss your chance to bid on a selection of beautiful Okinawan pottery and glassware.